Jaguar Breaks Speed Record, But Not On Land — With Electric Boat! Jaguar says electric boats are here to stay, and proves it. Like most people here, I associate Jaguar racing with four-wheel cars. So, when I saw Jaguar broke a speed record, I didn’t think much of it. But then I noticed the word “boat” and the word “electric” next to it. 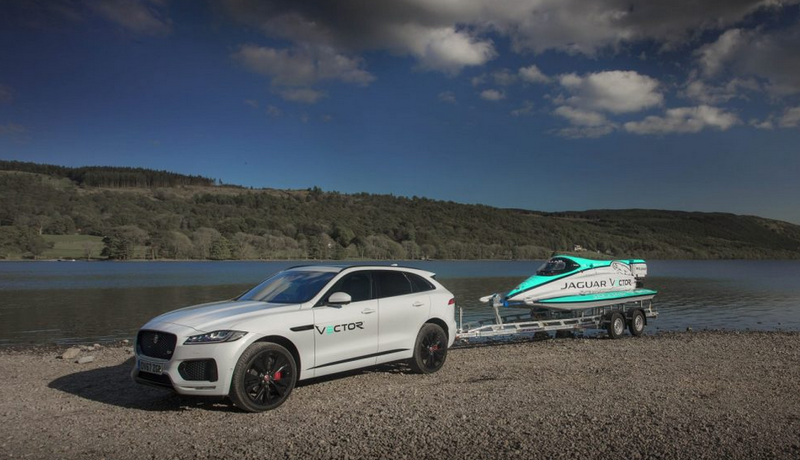 Jaguar + boat + electricity — now that got our attention! Jaguar Breaks Speed Record With An Electric Boat! You read it correctly. Jaguar’s not just a leader in electric car racing. And to think we were complaining about not enough electric boat stories last week! Jaguar Vector pulled through with its electric V20E. Electric V20E? Yes, Peter Dredge, co-founder of Jaguar Vector Racing, blew past the previous record of 76.8 MPH he set 10 years ago with 88.62 MPH over 8 miles in a “V20E.” The Jaguar Vector V20E was designed and constructed in a joint partnership between Jaguar Vector and Jaguar Racing’s partner Williams Advanced Engineering. Electric land vehicles — check. Electric three-wheelers — check and check (and same with two-wheelers and even down to unicycles of various sorts). Electric aircraft — check. Electric boats — check. Electric submarines — old news. The moment EVs are raced and make inroads with traditional racing, then everything changes. 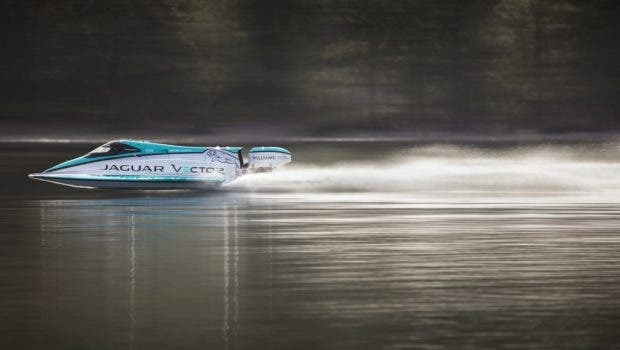 The Jaguar Vector electric boat speed record might be just the news we need to start a new electric boat championship.